On the evening of May 30th, engaged couples, top individuals from the wedding industry, along with a variety of influencers gathered at The Grand in Baltimore. 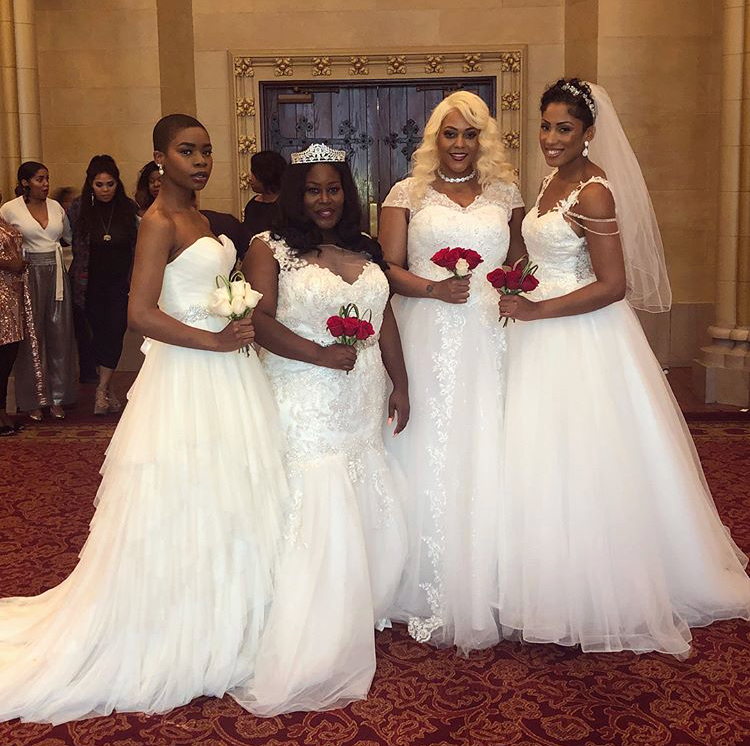 The event that brought all of these individuals together was the Spring into The Grand Bridal Fashion Show. Hosted by Elite Secrets Bridal and The Grand, the runway show featured looks that included styles from the bridal boutique on Charles Street. There were bridesmaids’ styles from Bella Bridesmaids and groom’s fashion from Taylor Wood Clothier. The grand finale was the reveal of designer Khemistry’s debut bridal collection. The couture line included curve-hugging, show stoppers in satin, sequins, and beaded fabrics. VIP Guests were greeted with a glass of champagne and passed light eats in The Grand’s beautiful Oriental Room that doubled as the VIP gifting suite an hour before the show. VIP guests of industry professionals and influencers selected swag from brands Bai Drinks, Bella Bridesmaids, e-cloth, iCloth, Kenne Bug, Kind Snacks, Paula O Store, Pocket Palette, Skinny Pop Popcorn, and Wedding 411. At the 6 o'clock hour all guests indulged in the signature champagne bar before heading into the Mirror Room for the fashion show. Local influencers, Alysha (@discovercharmcity) and Chyno (@theboywiththebluebeard) welcomed attendees and kept the audience engaged throughout the show. Six scenes were highlighting the latest trends in hair and makeup, bridal and bridesmaids fashion, and grooms wear. Guests previewed style ideas for all types of weddings, including Royal, Boho Chic, Great Gatsby, and Destination. Just before the grand finale, four of the cutest flower girls stole the show in a runaway strut sweeter than any wedding cake. Elite Secrets Bridal and The Grand made a statement in Baltimore that evening! To view social media event photos, please search the hashtag #SpringintoTheGrand on Twitter, Instagram, and Facebook.